Next week, the Simply Italian event will be held in three cities: New York on October 25, Chicago on October 27 and Boston on October 28. For New York and Chicago, there will be two morning seminars as well as a walk around tasting in the afternoon, while Boston will only have the tasting. I will be moderating the two seminars in Chicago: one on Protecting DOC and DOCG Wines and the second will be on wines fom the seven Chianti districts. Joining me on these seminars will be Riccardo Ricci Curbastro, head of Federdoc; Steven Alexander, wine director for Chicago's Spiaggia Ristorante and members of the Chianti Consorzio. I hope to see you in Chicago on the 27th for Simply Italian! 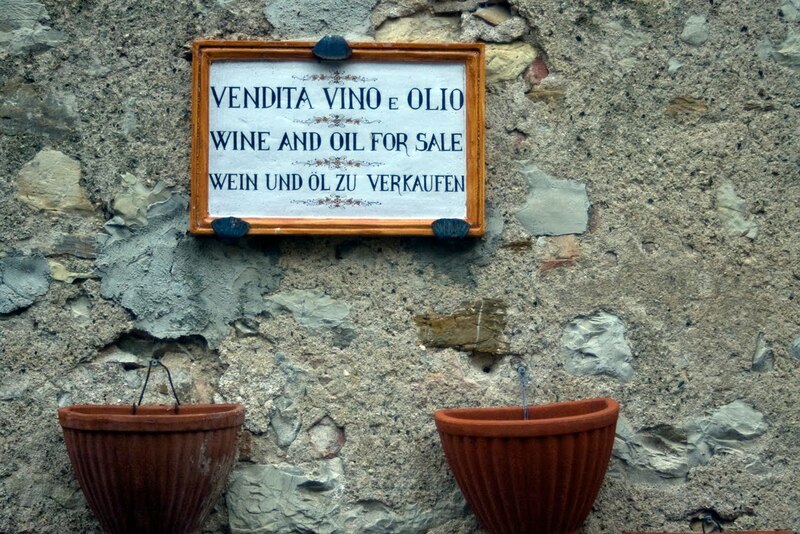 "We are quite advanced on the Falanghina and are starting Greco. Fiano and Aglianico still need another week. We were very worried about quality after the weird year in terms of weather but the last few weeks - with wonderful warm weather - have significantly improved the situation. The Falanghina harvest was excellent and so we expect it to be also with Greco and Fiano. There was significant reduction in quantity (-20%) but quality is very good. The next two weeks however will be critical to assess the quality of the aglianico vintage. In any case, for Aglianico it will not be one of the best vintages. The Serpico vineyard however - with old vines - appears to be producing high quality grapes, so we keep our fingers crossed." "A cold and rainy Winter delayed a bit the start of the vegetative cycle, bringing the maturation timing process back to the traditional periods of the area. Spring and Summer were more rainy than usual. Summer was not very hot and the temperature excursions were significant already in August. So maturation processes slowed down a bit, and this was helpful for the aromas and the freshness of grapes. Harvest is one week late, compared to last year. We are going back to the traditional harvests of late October and November, with a positive contribution of the terroir distinctive characters on the grapes. More than other years, vineyard management has been strategic, mainly keeping the yield low during August, in order to select the best grapes. With the white grapes we already can see excellent aromatic expressions and good acidity. About the reds, it’s too early to say: at the moment the process of maturation is regular, but of course we have to wait for the weather evolution of the next weeks. For now we are still in a nice and warm summer, having temperatures around 24-25 Celsius degrees during the day." "This year harvest was late and not so easy - we started around 22th September with the merlot grapes - we did a lot of selection in every vineyards so the crop is little less than normal but the wines are in fermentation right now and seem to have an interesting evolution." 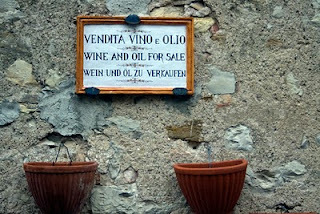 "A cool vintage and one in which the quality of the wine has repaid all the efforts in the vineyard. Vini dai profumi molto intensi. Carattere aromatico elegante." Over the past year, I've received numerous emails from people that want me to write about the services or goods they offer. It could be about tours to wine regions or it might be about a product especially designed for the wine industry. But as this blog is about wines I've tasted as well as issues in the wine industry, I've decided not to spend time promoting tours or products. Well, there's almost always an exception to the rule and today is the day. I recently acquired a wine cooler that is as nicely designed and as functional as I've seen. It's made by a company called Air and Water and it's a beautiful unit designed to hold 21 bottles of wine. While there's nothing particularly earth shattering about that, it's the way this cooler was designed and how it works that makes this worth talking about. The unit is black with two compartments; it stands 32 inches tall and is 13" wide and has a depth of 20". Both compartments are behind glass doors; the upper holds six bottles, while the lower holds 15. Each compartment can be set to a specific temperature and it's done with great ease by the touch of a finger, as there is an LED readout in deep blue that lets you know the exact temperature (in F or C, for that matter). All you do is touch the down arrows to lower the temperature and hit the up arrows to raise the temperature. 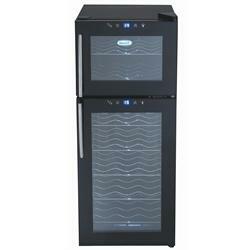 I've used wine coolers such as this model before, but few have the feature of setting an exact temperature. There's also a touch control for a small light to go on in each compartment to allow you to see what wine you have on each shelf. That's a nice feature, especially if you have this set up in a small corner in your kitchen or dining room, where there might not be that much light. It has silent operation and it's vibration free and all you really need to make this work is an outlet for a three-pronged plug (along with your wine, of course!). Also the racks are chrome-plated, which add a nice look to the unit. I've had this for about two weeks now and can report that it works beautifully I'm very happy with it. The cost is around $220 and for a long-term investment for storing a few choice bottles you plan on serving soon, it's worth the price tag. The particular model is New Air AW-210ED and more information can be found here. The Tuscan wine district of Bolgheri, named for a quaint hamlet located some 60 miles southwest of Florence, has been one of the most celebrated in all of Italy over the past two decades. The vineyards, planted primarily to Bordeaux varietals such as Cabernet Sauvignon, Cabernet Franc and Merlot (with a scattering of Petit Verdot) - as well as a moderate amount of Tuscany's signature red variety, Sangiovese - are located only a few miles from the ocean. Though quite different in nature than this region's other famous reds (such as Brunello di Montalcino and Chianti Classico), the Bolgheri reds have been acclaimed as among the most distinctive in a country noted for its singular vinous offerings. You only need to know the names of a few of these wines, such as Sassicaia, Ornellaia and Grattamacco to know the quality of this wine zone. But Bolgheri is also home to some vary special whites. Sauvignon (Blanc) is grown at a few estates and the cool climate here gives these wines a distinct edge, with grassy notes and bell pepper flavors. However, as Sauvignon (as it is generally referred to in Italy) is more greatly associated with the northern Italian regions of Friuli and Alto Adige, only a handful of producers in Bolgheri work with this variety. 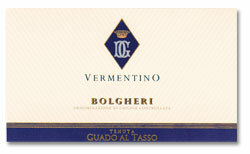 Rather it is Vermentino that is the leading white variety of Bolgheri. Also grown on the island of Sardinia, where it can express its special qualities exceptionally well, Vermentino is at home in Bolgheri's maritime climate. This is a variety that needs a long, cool growing season to realize its aromatics of pine and pear which are backed by vibrant acidity. This is a wonderful aromatic white that is usually best served by fermentation and aging in stainless steel or cement tanks instead of wooden casks, which would rob the wine of its perfumes. There is often a pleasant minerality in the finish and often, as these grapes are planted so close to the sea, a light saltiness in the wine, which makes it ideal for pairing with shellfish. I recently tasted the 2009 Guado al Tasso Vermentino and I'm happy to report what a delight this wine truly is! I've enjoyed this wine from several vintages and frankly the current 2009 bottling is as fine as I've tasted. This was a special vintage in Bolgheri (and in reality for white wines in many areas throughout Italy), as the wines have excellent depth of fruit, rich aromatics and ideal structure. These whites, while pleasant now, are just rounding out and will be better with another 6 months in the bottle, with the finest drinking well for another three to seven years. 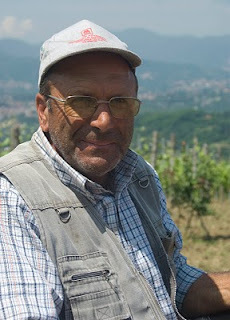 Guado al Tasso is owned, incidentally by Piero Antinori, so you know his commitment to quality; my notes on the 2009 Vermentino focus on the honeydew melon, pear and mango flavors, the light minerality and the richness on the palate. I've tried this with Oriental food and it's a great match (especially with shrimp or pork), but I'd also love it with a vegetable risotto or pasta with clams. The suggested retail price is $25 and for me, it's worth every penny.